I am writing to you today to offer alternatives to how binary ideals of gender have subtly been entrenched in Capital Pride. I raise specifically the Mr. & Mrs. Capital Pride pageant and the language choices your materials use to describe gender and sexual diversity. Past festivals have upheld binary ideals of gender by anointing Mr. & Mrs. Capital Prides. The choice to do so advanced trans-essentialism, a problematic paradigm of gender that supposes the world exists in only men and women, and free people have the right to choose between the two options. 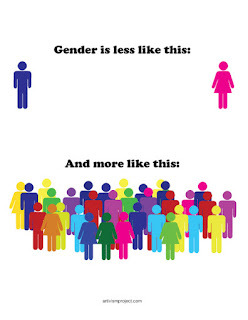 Trans-essentialism is not reality. I know this from my own lived non-binary experience. Administering a drag competition in binary categories erases non-binary and indigenous gender diversity, but it doesn't have to. There is absolutely no shame or problem in awarding "best performer(s)" to the most spectacular of participants. 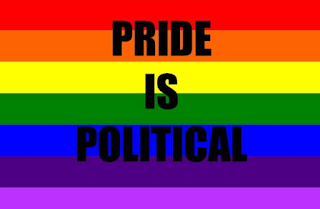 Anyone bravely performing for the purpose of gender transgression and freedom should be welcomed to the Capital Pride stage as they self-identify. The binary styling of Mr. & Mrs. Pride reiterates the devaluation of androgynous and hyper-drag. Andro-drag purposefully subverts binary notions of gender by artistically presenting bodies as gender illegible or transcendent. Hyper-drag (aka bio/faux drag) emphasizes the lived gender of performers to an extreme approaching gender parody. Consider that when hyper-queens are read as men in drag, they achieve the same political androgyny as andro-drag performers; they break the binary. Andro and hyper drag performers tend to be shunned while traditional drag queens and kings are rewarded for their proficiency "passing" as the "opposite" gender. This context is the same power relation that significantly privileges trans people who live presumed to be cis over trans and gender non-conforming people who are read as outside or between binary gender ideals. I would also like to address the language your organization uses to describe gender diversity. Many non-binaries and people of indigenous genders, myself included, do not identify as trans. And while most Canadian indigenous gender diversity fits into the label Two-spirit, Ottawa is an international city home to people from all parts of the world with their own culturally specific conceptions of gender. The genders of Samoan Fa'afafine and South Asian Hirja are real and legitimate. It is an act of neocolonialism to subsume infinite diversity of indigenous genders under the Western umbrella term trans(*). There is no consensus for an acronym to describe gender and sexual diversity, so I encourage you not to try. 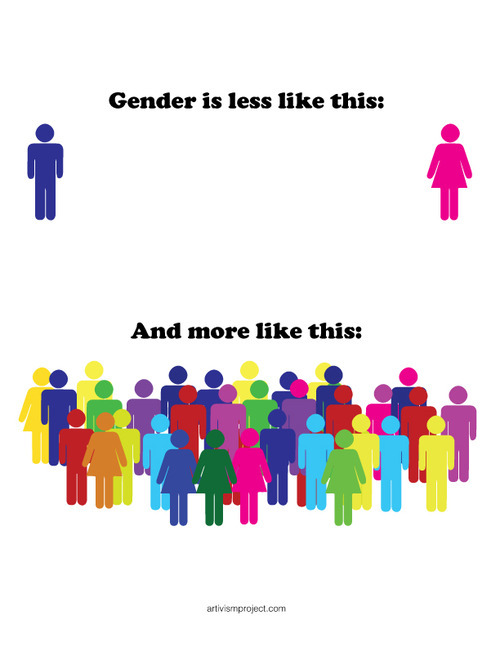 Rather than LGBT, LGBTQ+, LBGTTTPIAGQQ, etc... let's accept the infinite diversity of gender and sexuality by describing "queer and gender diverse communities". The plurality of "communities" is important because there is no required sameness among queer people. To expect sameness across immeasurable difference is an act of exclusion and oppression. Ottawa does not have a queer community; we have queer communities, and we should celebrate them all. I hope my comments resonate with you, and that there is enough time to make appropriate adjustments to this year's logistics. My best wishes and thanks for all your effort elevating and celebrating Ottawa's queer communities.